Decided to wear my DIY goodies this past Sunday. 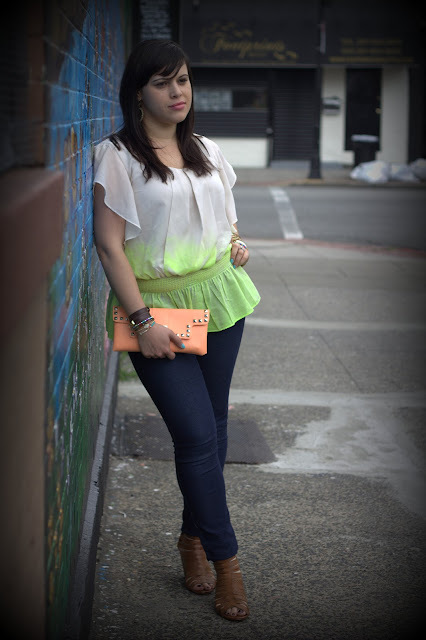 The slight touches of neon gave life to an otherwise neutral outfit. You can check out the blouse DIY here and the clutch DIY here. great job on the ombre top!